Strip piecing and fast cutting with the Creative Grids Diamond Dimensions Ruler. 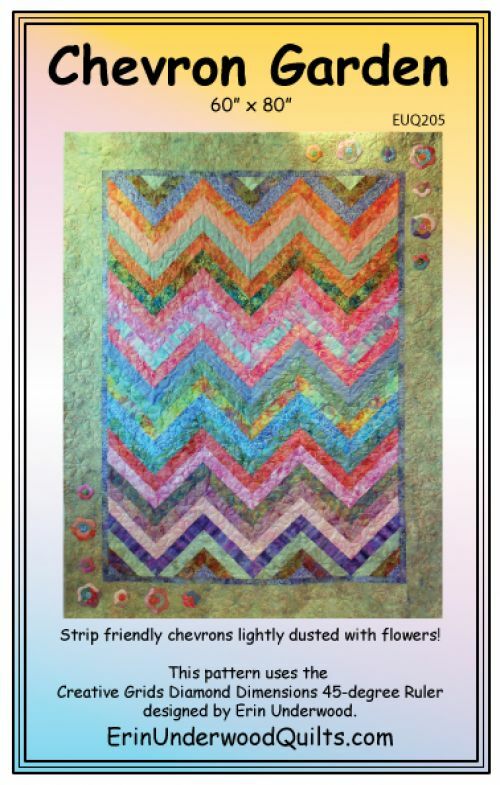 Use the left-over strips to make the applique flowers. Voila! Chevrons in your garden!